Scottish ministers have been accused of “making a mockery” of a public consultation after rejecting a series of recommendations to better the lives of farmed chickens. Animal welfare campaigners say that six suggestions they made to reword official guidance for poultry farmers were ignored. 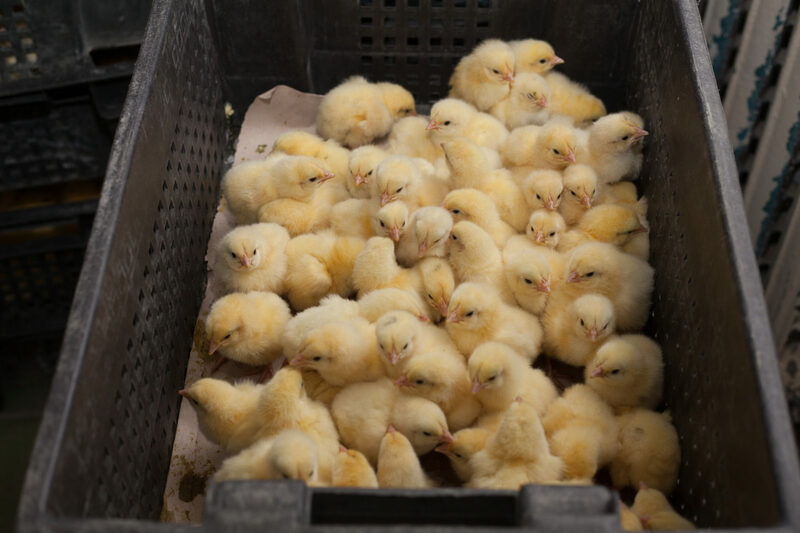 These included giving chickens grown for meat more space, more perches and better food to avoid “chronic hunger”. Campaigners also wanted to encourage farmers to avoid transporting chickens in extreme weather, to use breeds likely to enjoy good health and to prevent panic during catching with “slow, calm movement”. The Scottish Government published new guidance for farmers on the welfare of meat chickens on 1 April. This followed a public consultation last year which invited comments on what the guidance should say. Three animal welfare groups banded together to suggest specific wording: The Humane League UK, Eyes on Animals and Animal Aid. But they are angry that none of their suggestions were taken up. “It is frustrating and disappointing that the government has chosen to ignore the voices of animal protection organisations acting in the interests of the animals,” said Pru Elliott, head of campaigns at The Humane League UK. She argued that the recommendations they made were “common sense additions” crucial for chicken welfare. “We recommended slow, calm movements to avoid panic when catching birds – this was omitted,” she told The Ferret. Eyes on Animals accused the Scottish Government of refusing to take on board its “expert advice” which has been sought previously by companies across Europe. “It is with good faith in governments that animal charities like us input into these consultations, so to have every recommendation dismissed is extremely disheartening,” said the group’s spokesperson, Nicola Glen. Animal Aid said the aim of improving the guidance was to make the lives of farm animals “less hellish”. It was “deeply disappointed but hardly surprised” to learn that its recommendations had not been included. “We were left wondering whether we were consulted just to put a tick in a box,” said the group’s campaign manager, Tor Bailey. The Scottish Government, however, insisted that its new guidance had been supported by animal welfare groups. “This guidance was developed to replace the previous guidance which had not been updated since 2005,” said a spokesperson. The Ferret reported in July 2018 that a major poultry processing firm had been given more than £1.3 million by the Scottish Government despite being accused of breaching animal welfare standards. 2 Sisters Poultry in Coupar Angus said the breach was “a single case of historic non-compliance”. The National Farmers Union (NFU) defended animal welfare standards in Scotland as “amongst the best in the world”. “All poultry keepers in Scotland, whether keeping chickens raised for meat or egg layers, must abide by a comprehensive list of regulations and guidance on bird welfare and transport that are prepared and regularly updated and reviewed in consultation with stakeholders including vets and welfare groups,” said NFU Scotland’s animal health and welfare policy manager, Penny Middleton.